I found myself with a little bit of free time but didn't want to get started on a layout. When that happens, I often will make a card or two. They're perfect for those little pockets of time when you don't want to get into a full blown project, but still want to be creative. I made a simple Father's Day card for my dad, but then decided I would jazz it up with some sequins. The inspiration came from the Stash Busters challenges on the forum at Two Peas in a Bucket. If you're ever looking for a great challenge, Marianne puts together 5 prompts every 2 weeks and it's always fun to see what everyone creates! I also made a birthday card for a girlfriend using the Camelot card kit from Studio Calico. The stamp set designed by 1Canoe2 put me over the edge with becoming a card kit subscriber. I figure between the cards I make and using it to supplement my monthly Project Life pages, I shouldn't have too much left over each month. That's the plan at least! 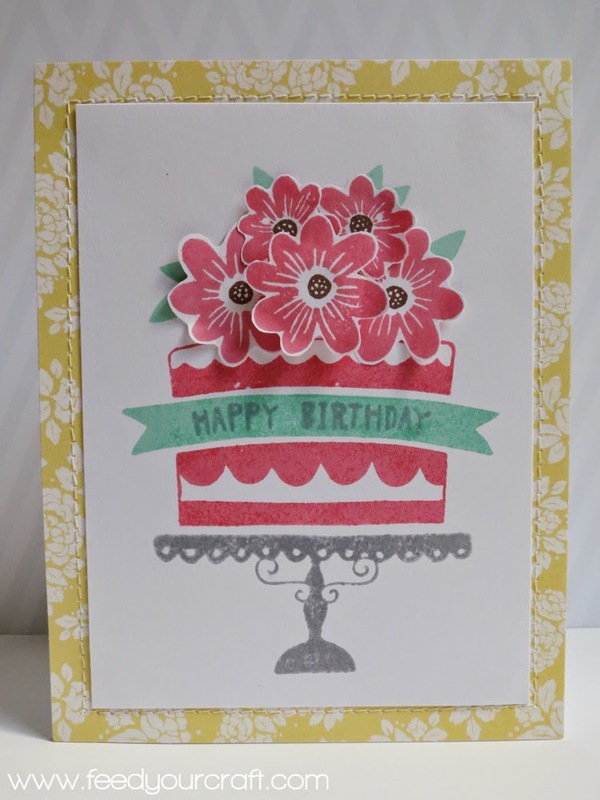 There were so many wonderful cards created with the kit, but this one by Julie Campbell caught my eye to lift straightaway. You can see it in her gallery HERE. I also finally picked up a heat gun and so tried my hand at a bit of heat embossing. I always said I'd never get into rubber stamping. Never say never, right?! What awesome cards! Love the sequins on the first & the flowers are soooo pretty on the second! 2 very sweet card Elise. I am loving the use of those sequins and the 3D effect of those flowers is awesome! Love these two cards! Adding the sequins was a ingenious idea! Love the pop of flowers over the cake, sweet! Gorgeous cards! I absolutely love the one with the sequins! Love the sequins at the bottom of the father's day card and how you've popped up the T and the R. I know it's to get the letters to fit, but I really love the look it gives. Love the birthday card- the stitching and the popped-up flowers make it fabulous. And, I still catch myself saying "never" and immediately bite my tongue. Excellent stamping work. Both fantastic cards! Super love the sequins!!! Great add. These are beautiful, Elise! Such a creative use of sequins. Loving that border! 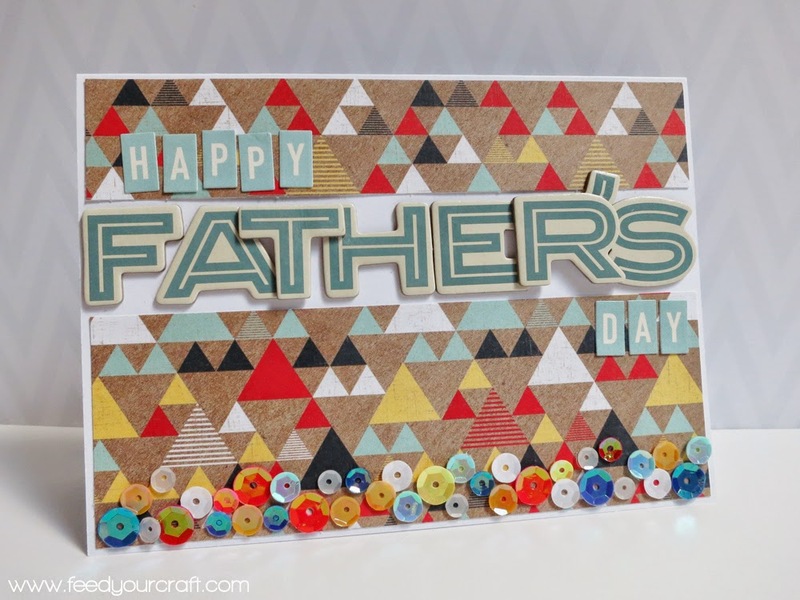 Love the sequins on your Father's Day card. Such fun! i love that father's day card!